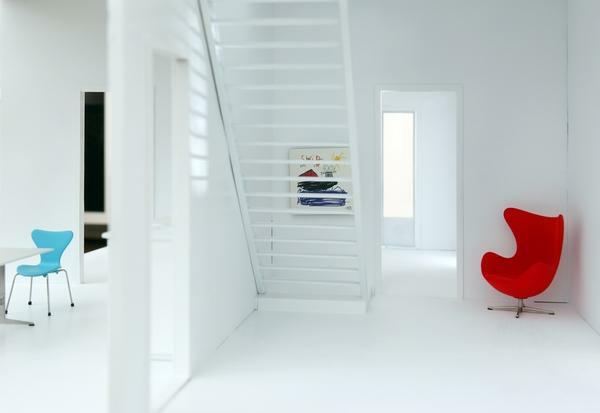 Danish company Minimii have set themselves the task of making doll houses and furniture that resemble real homes with an emphasis on stylish, functional and timeless design, only in miniature. They wanted to create toys that appeal to children’s imagination and parents’ sense of quality. 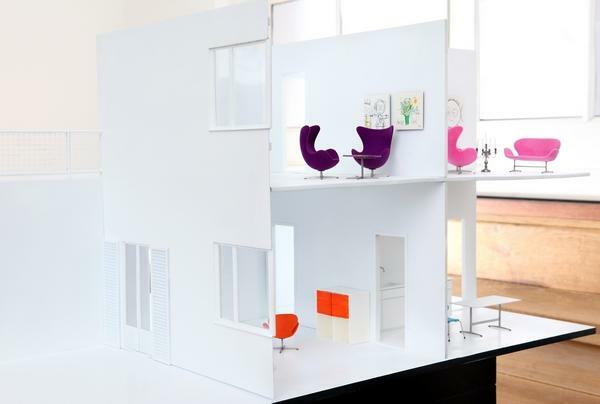 So they started with a doll house version of world renowned Danish architect and designer Arne Jacobsen’s house. Wow! The Minimii doll house is a faithful 1:16 copy of Jacobsen’s own house in Charlottenlund, Denmark. Careful notes specify small changes made to the design of the real house to create a suitable doll house. For example, the pantry is merged with the kitchen and the built-in cupboards in the hallway have been left out – minor details given that the overall aesthetic is simply marvellous. In creating the doll house, Minimii considered how the piece would be played with. They added clever hidden magnets in the roof and on the house’s facade so that they can be removed for easy access from many angles. Hidden magnets are also fitted behind the walls, under the floors and in the ceilings so that lamps, paintings and other accessories can be added. Complete your Jacobsen dollhouse with Jacobsen miniature furniture, including the classic Egg and Swan chairs. The doll house is expected to go into production this year. We’ll keep you posted!